Passive, SCSI Terminator, DB50 Male ( 10 PACK ) BY NETCNAWarranty:LifetimeWeight:0.18 lbsThis unit is designed to terminate a DB50 SCSI cable. This is a single ended, passive terminator. 30D5-02500. This terminator will connect any SCSI device that has a DB50 female port. Passive, SCSI Terminator, DB50 Male ( 1 PACK ) BY NETCNAWarranty:LifetimeWeight:0.18 lbsThis unit is designed to terminate a DB50 SCSI cable. This is a single ended, passive terminator. 30D5-02500. This terminator will connect any SCSI device that has a DB50 female port. Passive, SCSI Terminator, DB50 Male ( 3 PACK ) BY NETCNAWarranty:LifetimeWeight:0.18 lbsThis unit is designed to terminate a DB50 SCSI cable. This is a single ended, passive terminator. 30D5-02500. 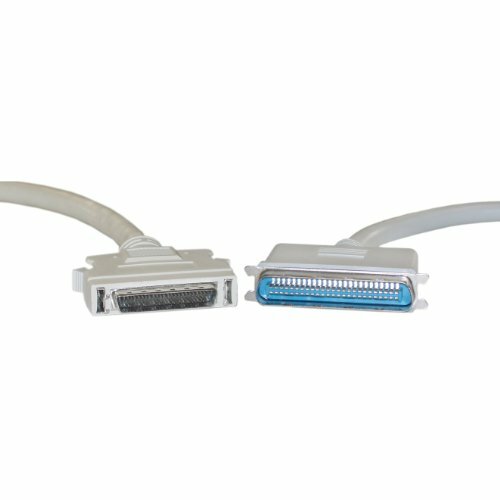 This terminator will connect any SCSI device that has a DB50 female port. Passive, SCSI Terminator, DB50 Male ( 100 PACK ) BY NETCNAWarranty:LifetimeWeight:0.18 lbsThis unit is designed to terminate a DB50 SCSI cable. This is a single ended, passive terminator. 30D5-02500. This terminator will connect any SCSI device that has a DB50 female port. Passive, SCSI Terminator, DB50 Male ( 50 PACK ) BY NETCNAWarranty:LifetimeWeight:0.18 lbsThis unit is designed to terminate a DB50 SCSI cable. This is a single ended, passive terminator. 30D5-02500. This terminator will connect any SCSI device that has a DB50 female port. Passive, SCSI Terminator, DB50 Male ( 30 PACK ) BY NETCNAWarranty:LifetimeWeight:0.18 lbsThis unit is designed to terminate a DB50 SCSI cable. This is a single ended, passive terminator. 30D5-02500. This terminator will connect any SCSI device that has a DB50 female port. Passive, SCSI Terminator, DB50 Male ( 20 PACK ) BY NETCNAWarranty:LifetimeWeight:0.18 lbsThis unit is designed to terminate a DB50 SCSI cable. This is a single ended, passive terminator. 30D5-02500. 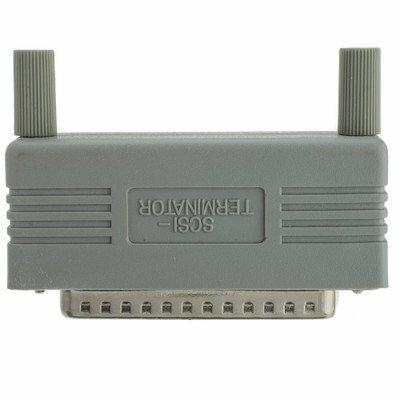 This terminator will connect any SCSI device that has a DB50 female port. Passive, SCSI Terminator, DB50 Male ( 2 PACK ) BY NETCNAWarranty:LifetimeWeight:0.18 lbsThis unit is designed to terminate a DB50 SCSI cable. This is a single ended, passive terminator. 30D5-02500. This terminator will connect any SCSI device that has a DB50 female port. Passive, SCSI Terminator, DB50 Male ( 5 PACK ) BY NETCNAWarranty:LifetimeWeight:0.18 lbsThis unit is designed to terminate a DB50 SCSI cable. This is a single ended, passive terminator. 30D5-02500. This terminator will connect any SCSI device that has a DB50 female port. Compare prices on Db50 Male One End at LiveSaler.com – use promo codes and coupons for best offers and deals. We work hard to get you amazing deals and collect all avail hot offers online and represent it in one place for the customers. Now our visitors can leverage benefits of big brands and heavy discounts available for that day and for famous brands. We try to makes comparison shopping easy with Product Reviews, Merchant Ratings, Deal Alerts & Coupons. Find Deals, Compare Prices, Read Reviews & Save Money.